When you’re designing for international users of web products, internationalization and localization are things you have to consider. With the two together, we can call it web globalization (= internationalization + localization). The first and right instinct is to deal with translation, but it’s more than just using an auto-translator to simply translate the language itself. There are much more designers need to keep in mind and be aware of. Based on the 2018 Web Globalization report from Byte Level Research, a website can communicate with approximately 95% of the world’s internet users by supporting 47 or more languages. The top 25 best global websites support an average of more than 80 languages, up from 54 languages last year. Surprise or not, Wikipedia, with support for 298 languages, become the best global website in 2018, followed by Google. Since Wikipedia is completely supported by users, it actually indicates the high demand for the presence of different languages on the Internet. The goal of internationalization is to make localization easier, while localization focuses on one specific target market at a time. 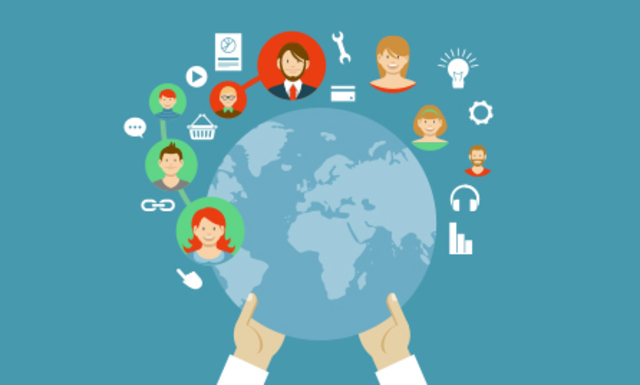 Internationalization is about setting up the core process, and localization handles the details. In other words, internationalization is more about the layout and structure, while localization is more related to the cultural factors and content. He also shared a way to use Google Spreadsheets to estimate translation lengths in the different languages, which is a quick technique everyone can use. Another designer commented below providing a link to a public version of the spreadsheet. You can make a copy and use it yourself. Besides, the typeface, font size and line height are also need to be considered. Same typeface for different languages may have entirely different visual styles, leading to different brand identity. The font size and line height looking good in English may make other languages unreadable. There are some languages, such as Arabic and Hebrew are read from right-to-left (RTL) have different displays with left-to-right (LTR) languages. Google Material Guideline provides some great instructions about how to handle the UI for “Bidirectionality” in different situations. We all know there are huge cultural differences among countries or regions. Therefore, designers should be very sensitive to local cultures. Icons, colors, images may need to be altered on a localized website because they may have a different symbolism in the local culture. For examples, although the “thumbs up” gesture generally stands for positive meanings, it is actually an insult in some middle east countries and Australia. That’s probably part of the reasons why Facebook change their Like and Share buttons in 2013, replacing the iconic “thumbs up” with Facebook logo. Other cultural considerations include using different brand name and taglines, adjusting the writing style and tone, respect local traditional customs. For examples, the format of the address and phone number are different around the world. When designing those input field, we can either provide a more universal design or changing the format based on the country user select at first. Winter in the U.S. is the summer in Australia, so it would be weird if an e-commerce site displays the same clothing. Overall, web globalization is not an automated process. It requires a dedicated global team to maintain, monitor, and update. Depending on the products and targeted market, the work varies from teams to teams, but it’s always good to take those basic factors into consideration when designing for international users. In last blog post, I talked about some basic principles to follow when designing for multi-screens. There is 3Cs Framework (Consistent, Continuous, Complementary) I found extremely helpful when analyzing the strategies of multiscreen design. Synchronization: Information is kept in sync and up-to-date across devices. 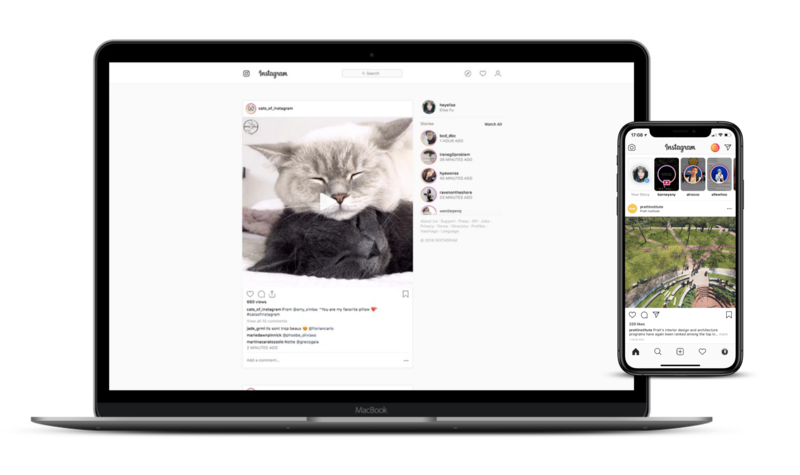 Most of us may consider Instagram is a mobile app, but it does have a desktop version (web-based) for users to browse the stories and feed on the desktop. Yes, it’s majorly for browsing (and liking, commenting and sharing) instead of posting on the desktop. Only its mobile app is fully functional, which indicates its “mobile first” strategy. As a social media, Instagram absolutely created a community for users to create, share and comment on content – adopting the “communification” strategy. Compared with other photo sharing website, such as Flicker, Pinterest or even Facebook, Instagram wins because it is the easiest to create nice-looking content (photo, with built-in filters) and interact (follow, like and comment). Besides, Instagram is also a role model of using “emotionality” strategy – it’s fast, pleasant and entertaining to use at a fragmented daily base. When it comes to “consistent” and “synchronization”, Google products are no doubt the pioneers. Most of its products provide great consistent experience across different platforms, especially Google Search and Google Map. They are very similar on desktop and mobile, just different on the layout and how much information showed on the first screen (because of screen sizes). 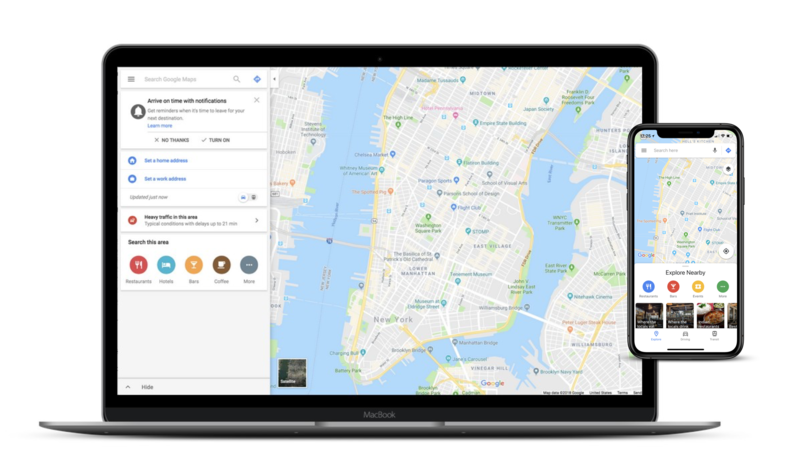 However, there is no navigation feature on the desktop of Google Map because users are not moving when they on the desktop. On the other side, navigation is an essential feature on its mobile app. Moreover, voice control is another unique thing on the mobile app because of the hardware capabilities and use cases. In terms of G-suite products (Docs/Sheets/Slides), they are great on “synchronization”, although with varied focus on different devices. Different from Instagram, the center of G-suite products is on the desktop, where users are fully powered to create, edit, share and delete their files. While on the mobile app, the main use case is browsing instead of editing. Although the apps are trying hard to provide full functionalities, they are clearly optimized for browsing on mobile, which is a right way to ensure a good mobile experience. Reading is always a “continuous” activity. In the digital world, it means people use different devices to read. Or, find something to read first, and then read it. The desktop app of Kindle is great for looking up information or scanning books, because the large screen can fit up to 3 pages on one screen. On mobile, either tablet or phone, you can only read one page at a time. 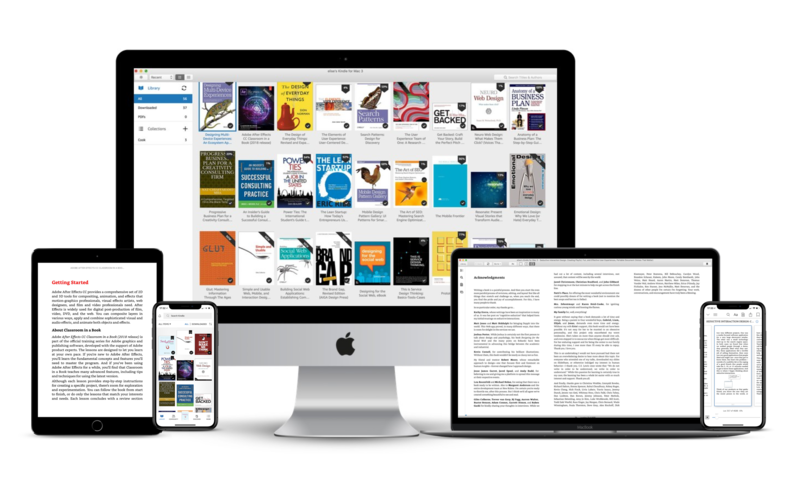 Thanks to the “synchronization”, it’s very easy to jump from one device to another device while reading a same book because it saves your reading progress. 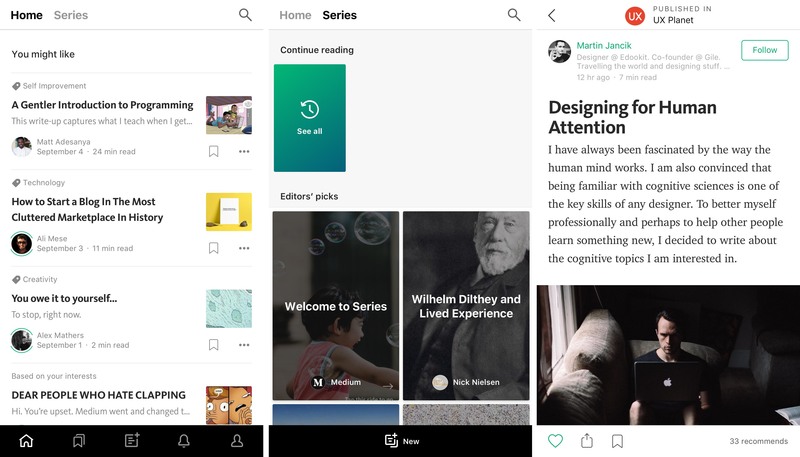 Similar to Kindle, Medium provides consistent and continuous experience on desktop and mobile, but the Medium mobile app is better optimized for the device capabilities. The “Audio” and “Bookmarks” are more prominent on the homepage on its mobile app than on the desktop. Because users are more likely to listening than reading when they’re moving, and it will be more convenient for them to start reading (from their bookmarks) than looking for something new to read. It also works better on “communification” with a stand-alone tab of “Activity” on the mobile app for users to check other users’ activities related to their post and to follow other users. After gathering all the examples, I found entertainment industry is trying the hardest on multi-screens experiences. They are building all the relations among all devices. Netflix provides consistent experiences among devices, and optimizes for each of them. On tablet and phone, the “Download” option is very prominent since they know most users don’t have a lot of high-speed data to abuse on mobile. The screen will turn to horizontal automatically when it stars playing for best watching experience. A new trick I just noticed is they have “(Instagram) story-like” previews for users to glance before clicking “play”, which is also clearly optimized for mobile. Users can also easily connect and play the show on TV from their phone or tablet, as long as they are in the same Wi-Fi networks. In the meantime, the phone or tablet can be used as a remote while watching Netflix on TV. 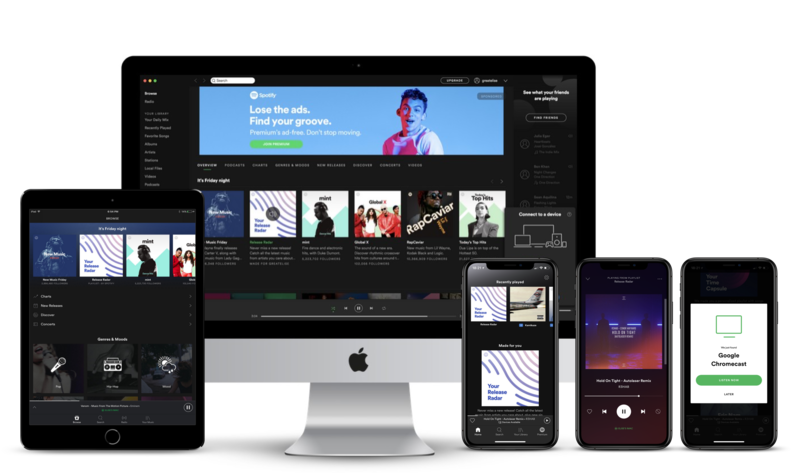 On Spotify, it’s also a pleasure to switch from one device to another. Users can play and control music on their desktops using phones or tablets. Discovering (music) works better on the desktop because larger screens can contain more information. Its mobile app is also equipped with voice control for users to search for music by talking. Try saying “play something special”, you may get a song that surprises and delights you. Although there are many strategies to follow, multiscreen design is still a case-by-case challenge. 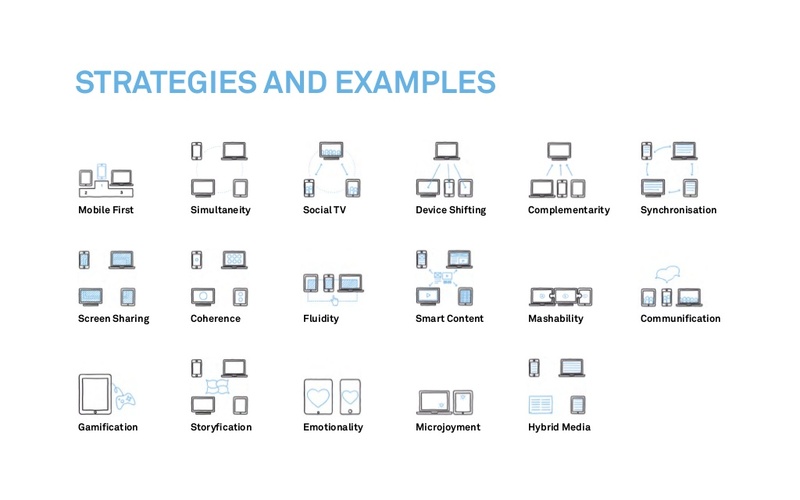 If you ask me what is the ultimate strategy, I will say: think about what to focus on each device, and then design for it. On different screens, things that have to be changed is layout and navigation; things that best not to be changed is content; things that could be optimized is additional features or the priority of features (based on device capabilities). And most likely, it is the last one makes the multiscreen design standout. Nagel, W. (2017, January 24). Multiscreen UX Design – Developing for a multitude of devices. Today, human live with screens, and most likely, with multi-screens. There are PCs, smartphone, tablets, TVs, smartwatches and more. People use them for different occasions or use them together. As a designer, I heard about terms like “mobile-first” and “responsive” a lot and have actually designed products across different platforms, while I found there is still a gap and struggle of designing for multi-screens. Therefore, I spent some time diving into the topic to find out what makes for a good multiscreen experience and what are the things to be considered when designing for multi-screens. There are two books I found extremely helpful about this topic. Devices have their own pros and cons. They are different in display size, proximity, the location being used, use mode, viewing mode, interaction model, attention pattern, device sharing, and the built-in features and sensors. They exist because there is no one can entirely replace another. The major devices being used include PCs, smartphones, tablets, and TVs. Smartphone is becoming the major device people rely on, instead of the traditional PCs. Therefore, in the future, there may be more and more products starting from mobile. Tablets and TVs seems are not as popular as PCs and smartphones, however, they have their unique spaces that others can’t replace. When it comes to reading, tablets beat smartphone. When it comes to gaming, TVs beat all other screens. Another surprising fact is TVs and tablets actually make a good combination. The research mentioned by the book Designing Multi-Device Experiences shows that “70% of tablet owners used their tablets while watching TV” which constituted 30% (the largest share) of their total time with the tablet. 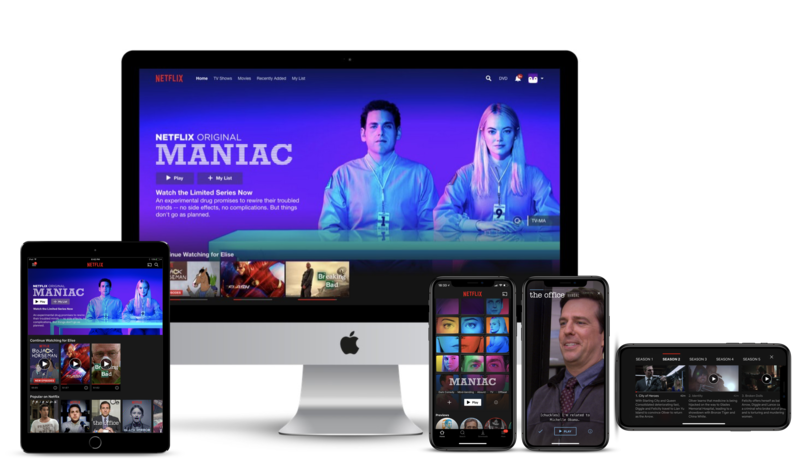 Most of the apps are trying to provide the consistent experience when it comes to multiscreen design, while “Consistent” is not the only approach. The framework could be used independently or together. “Consistent” is easy to understand, which is to provide very similar experience across different platform while optimizing for the screen size and interaction model. “Complementary” approach refers to using different devices together to complete a single goal. It is currently most common in gaming and TV shows. For example, using iPhone/iPad as a controller for the game displayed on TV, or use iPhone to provide additional information of the TV shows users watch. 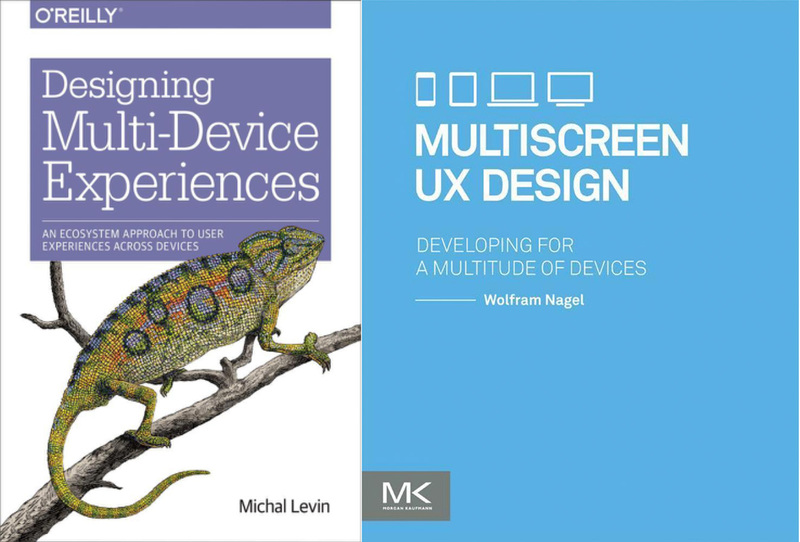 The book Multiscreen UX Design provides more strategies and examples of the relationships of the devices, while most of them can still be adapted to the 3Cs Framework. 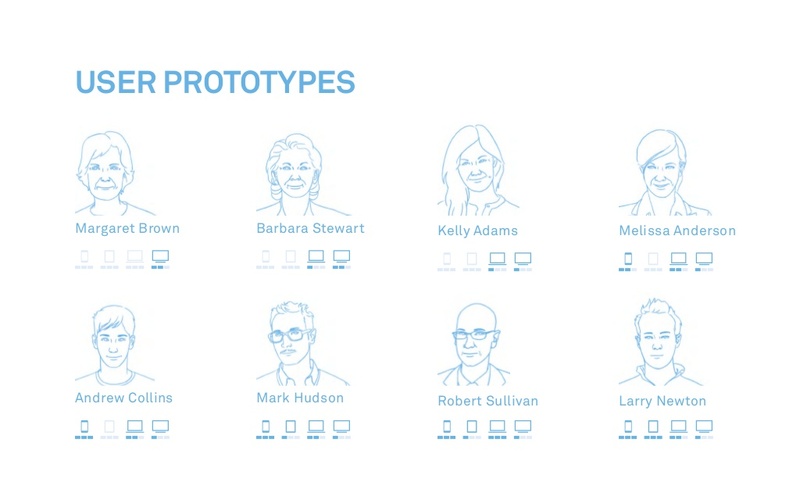 Users are always the center of UX design. 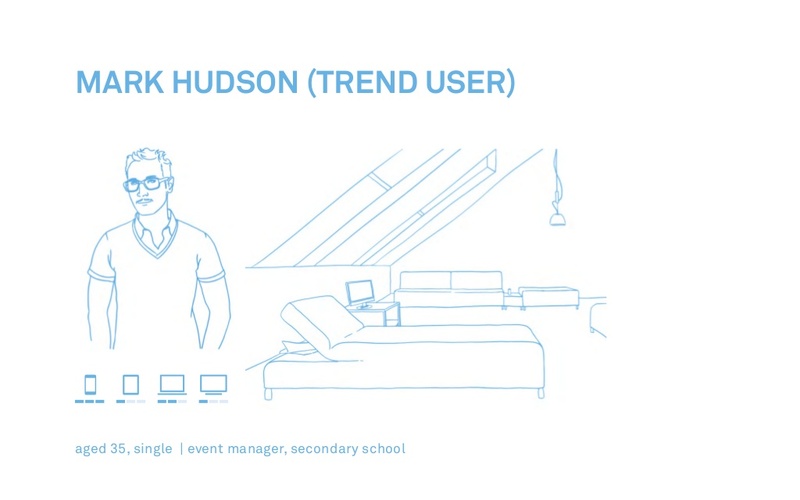 For multiscreen design, both users and the context of use are very important. Unlike desktops, which we know users are mostly sitting with good internet connection, other devices turn to have more limitations or distractions. The book Multiscreen UX Design provides great examples of how to build “user prototype” to map out the usage of different devices and the context. When will users be using the product? Where will user be using the product? Why users use the product (at the time they use)? How will users use the product? 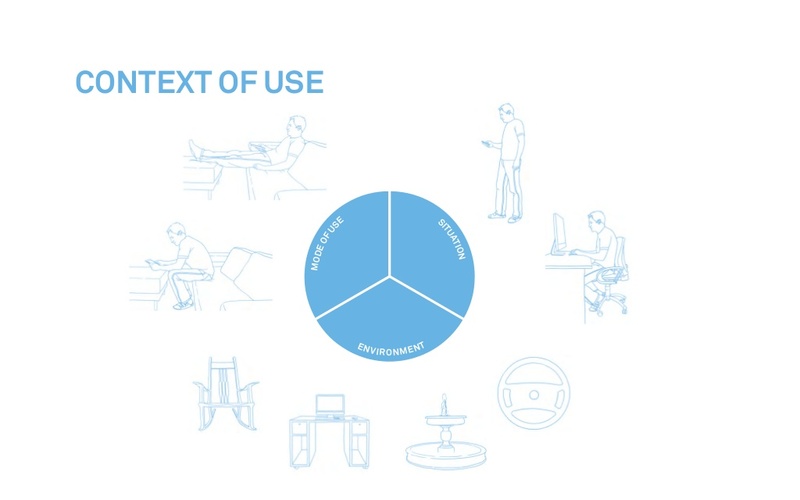 After we have a good understanding of users and the context of use, then we can define the different strategies for different devices and how they will be working together as a whole to serve users. Also, don’t forget to educate users on how to enjoy the best experience. Some approaches we talked about before may not be as intuitive as the “Consistent” experience but will work really well once users know how to use. Therefore, remember to integrate the guidance in the user flow to help users become pros of the product. It is obviously not enough to just design for desktop, which most companies already know, and it will be not enough to just design for both desktop and mobile soon – the potential of tablets, TVs, and smartwatches has not yet been reached. In the future, the display in a car may also be more connected with our other devices. This article provides the basic principles of how to start designing for multi-screens, while different products have its unique user journey needs to be considered. It always has no harm to start with understanding users. Map out the user journey, consider the limitations of each step and then leverage the advantages of devices to provide the integrated experience for users. I didn’t know UX existed! I started in graphic design and then learned web design and front end coding. At some point, I realized that it must be someone’s job to make sure that what gets designed is what gets built and that’s when I learned about UX. Of course, that’s not exactly the definition of UX, but that’s what lead me to the field. I am completely self taught and when I was starting there weren’t tons of programs. So I practiced by DOING! I sought out freelance clients, I re-designed things that I thought were problematic on various products I used, and I kept doing that over and over and over. My focus in UX is research and experience design. I love understanding the problem and using that research to help create a strategy for what the solution should actually be. I also love figuring out the userflows and coming up with the actual experience design — wireframes and prototypes. But I’m not an interface designer! What made you choose UX education as one of your focuses? I’ve always been a natural teacher. One of my first jobs was a piano teacher! The focus on UX Education really came out of research. I noticed I received a lot of email and questions about certain topics in UX including how to conduct research and how to create a portfolio. After these observations, I continued to do research including having one on one calls with people to understand their exact problems. 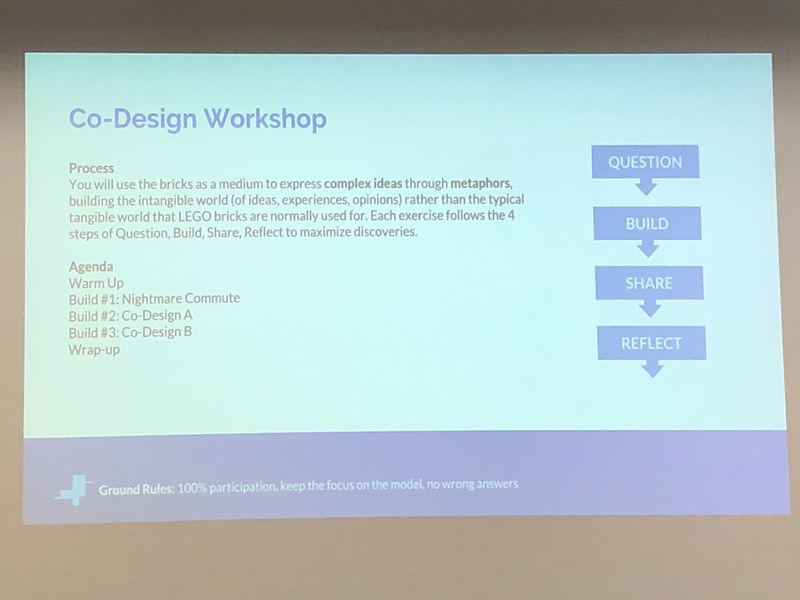 Then, based on this research I began prototyping various workshops on these topics to test curriculum ideas and content before I turned the workshops into fully on demand UX courses. Originally when I was testing these course ideas, I conducted the classes as small workshops which I taught live. However, a challenge with teaching live is that not everyone can make a specific time slot. So recording everything and making the courses on demand was something I did to make the programs more accessible for students. I also learned that people are completely tired of programs that have a lot of theory. People want to take ACTION! So creating worksheets, templates, checklists, etc are very crucial to people actually implementing what they’re learning. How do you think about the current education environment of UX?  What are the gaps you see between UX education and the UX industry in the real world? I think the landscape of UX education programs in general is still very confusing for people because of the vast range of prices, timelines, promises, and guarantees. Some programs even guarantee people will get jobs! The missing link in the UX education environment right now is the element of experience. True real world experience. Of course some UX programs integrate projects into the curriculum, sometimes even with paying clients that the students do a project for. However these programs are not the norm. Once someone gets educated, they need experience. And it’s a chicken and egg situation. Companies don’t want to hire people who haven’t worked in the real world. Especially in a field where certification isn’t the norm. There aren’t enough UX internships or apprenticeships to give people a chance to practice UX in the real world. I don’t know the solution to this problem, but after spending 50 hours over the last few months having research interviews with UX designers, I know this is a real problem. What advice would you give to someone who is receiving education and trying to get into the UX field? Look for internships, although they are hard to find. It’s a huge opportunity to work on projects in the real world. But in the meantime, take it upon yourself to be a “problem spotter” — I always say that designers can’t just be problem solvers, they must also be experts at spotting problems. If you get into the habit spotting problems, then you’ll always have a great list of project ideas you could pursue to get more experience. But keep in mind, if you do tackle these projects, then do some research, talk to users, look at competitors, see what you can learn about the company from articles, blogs, etc so that you can arm yourself with (hopefully) real world intel that can help shape your decisions. A challenge with these projects is that you’re doing it in a silo, you’re not encountering the challenges you’d face if you had the full story, the data, the limitations, etc. So try to find some of that through research. Hey designers, like it or not, virtual reality (VR) is really coming. We just spent or are still spending great efforts to adapt to the trend of mobile, now part of the focus should probably be shifted to look at the UX of VR. This article is going to talk about how UX looks like in virtual reality and what should be paid attention when designing for VR. There are many categorizations about the types of VR. For example, categorizing it into three main types of VR experience: 1-Hyper-immersive and emotion-based, 2-POV documentary, 3-Gamified experiences/games. 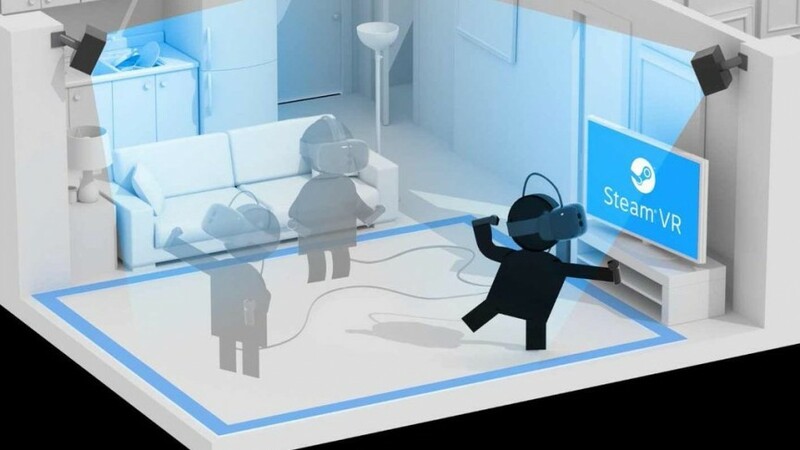 It is good to know these currently popular types of VR, but since it is content-focused and the content is always expanding, I found it may not be the best way to deconstruct VR. A more easy-to-understand way is looking the extent of two components: Environment and Interface. 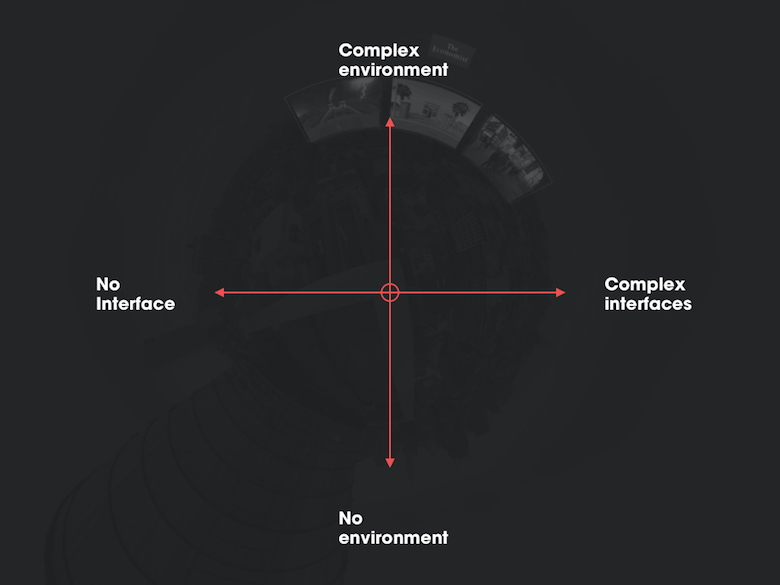 Is it having a complex environment without interface? Or is it having complex interfaces while no environment? Games should be placed in the former quadrant, while the user dashboard, video watching interface and (potentially) virtual shopping would go to the other quadrants. Understanding the two components is very important since all the interactions and design considerations will be based on that. Believable is the key to virtual reality. Unlike other digital products, in virtual reality, users are enveloped entirely in a virtual environment because they want to experience something different or something they couldn’t do otherwise. So how to leverage the design (image, sound, etc.) to let them feel it is real is very important. When people in a closed space, they need to interact with the environment to be engaged and avoid some negative emotions, such as fear. In virtual reality, the challenge of interaction design is to make it very intuitive because people expect it to be real having as little interferences as possible. It is also not as easy-to-control as traditional digital products in virtual reality because there is a “distance” between controller and interface (image using a television remote to browse an interface on the TV, and compare it with the experience of using a mouse to browse a website), so making everything looks natural and accord with how people act in the real world would be the goal. Different from how we play with computer or phone – sitting tight, the motion and movement in virtual reality matters (a lot). Therefore, it is different from a 3D movie where audience only watch and feel, instead, they need to be part of the stories in VR. As designer, you can allow them to walk, or even simulate flying, where is the stage for you to show your creativity. By achieving the previous three criterions, the ultimate goal is to make users feel immersive – enjoying the whole experience. VR could be a tool for people to escape from their daily lives to try something totally new and even surprising, which requires isolating them with the real environment they are in and providing 360 degrees experience. After understanding the VR experience and what makes a good design, now it’s time to learn how to create an awesome design for VR and what are the major considerations. The experience of virtual reality is highly interactive and reactive which respond to users’ motion. To build the great interactive experience, using head tracking, motion tracking, eye tracking (potentially) and leveraging the controller in user’s hand are the keys. Making user comfortable is unprecedentedly important for UX designer of VR. Since users are in a virtual environment, it is very likely the motion sickness or virtual reality sickness happens. It could because the image is not designed right, or users lose the control of their movement, which should be taken care seriously and better avoided at the first place. In virtual reality, detail matters. It is vital to keep visuals clear and legible to prevent eye strain. Unlike traditional screens, the visuals are constantly changing while the user is moving. Therefore, different style guides need to be prepared for different circumstances, such as the size of font and the shading of objects. Music and sound effects are not only just for creating atmosphere or decoration in VR, but also, more importantly, being used as showing users’ relations with other objects and the environment, which could be hints for users to interact and move. We are at a turning point for the popularization of VR and user experience. More factors and context need to be considered in VR, but the good thing is there are many untapped territories here, as well as the opportunities for UX designer to grow and become expert of certain field. I’m looking forward to seeing more and more UX designer start diving into this category since the UX is actually deciding the future of VR. Anderson, S. (2017, April 14). 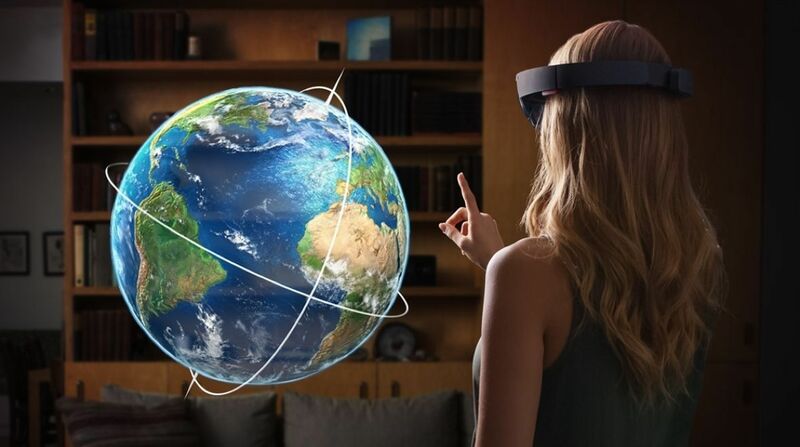 You’re the center of the universe: A UX guide to designing virtual reality experiences. [online] Telepathy. Available at: https://www.dtelepathy.com/blog/philosophy/ux-guide-designing-virtual-reality-experiences [Accessed 1 Nov. 2017]. Hopkins, C. (2015, May 29). Designing For Virtual Reality. [online] Ustwo.com. Available at: https://ustwo.com/blog/designing-for-virtual-reality-google-cardboard/ [Accessed 1 Nov. 2017]. Hudelson, B. (2017, May 16). Designing for VR | A Beginners Guide – Prototypr. [online] Prototypr. Available at: https://blog.prototypr.io/designing-for-vr-a-beginners-guide-d2fe37902146 [Accessed 1 Nov. 2017]. UX Planet. (2017, Aug 7). How VR Is Changing UX: From Prototyping To Device Design. [online] Available at: https://uxplanet.org/how-vr-is-changing-ux-from-prototyping-to-device-design-a75e6b45e5f8 [Accessed 1 Nov. 2017]. Charara, S. (2017, May 22). Explained: How does VR actually work?. [online] Wareable. Available at: https://www.wareable.com/vr/how-does-vr-work-explained [Accessed 1 Nov. 2017]. Ravasz, J. (2016, May 8). Design Practices in Virtual Reality – uxdesign.cc. [online] uxdesign.cc. Available at: https://uxdesign.cc/design-practices-in-virtual-reality-f900f5935826 [Accessed 1 Nov. 2017]. Cortes, L. (2016, March 16). The UX of VR. 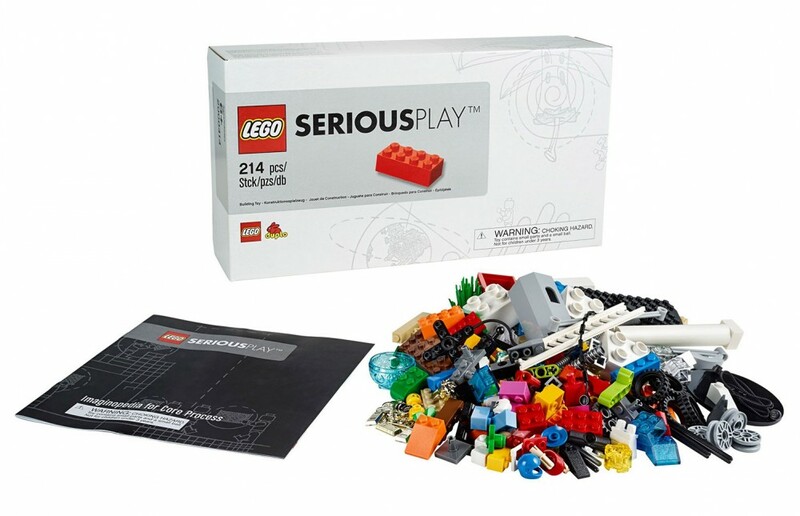 [online] Creative Bloq. Available at: http://www.creativebloq.com/ux/the-user-experience-of-virtual-reality-31619635 [Accessed 1 Nov. 2017]. Allen, D. (2015). The Fundamentals of User Experience in Virtual Reality. [online] Block Interval. Available at: http://www.blockinterval.com/project-updates/2015/10/15/user-experience-in-virtual-reality [Accessed 1 Nov. 2017]. Applebee, S. and Deruette, A. (2017, February 6). Getting Started With VR Interface Design – Smashing Magazine. [online] Smashingmagazine.com. Available at: https://www.smashingmagazine.com/2017/02/getting-started-with-vr-interface-design/ [Accessed 1 Nov. 2017]. 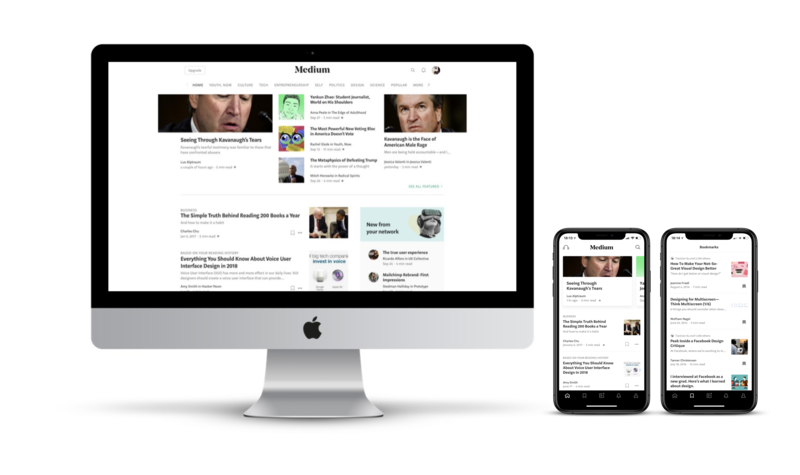 Medium is an online publishing platform launched in August 2012, having a mass of amateur and professional people and publications writing blog posts on it. The clean design quickly differentiates it from other publishing platforms and aggregates many professionals. This article is going to assess the design of medium IOS app using Don Norman’s concepts and principles in his book: The Design of Everyday Things. The Medium app uses clear labels and icons to inform users the functions or content on the platform, which is, as the theory of Don Norman, signifiers. For navigation bar, it has icons with a thicker thickness to show the major features of the platform. For articles, it has icons with a thinner thickness for functions of “Like”, “Share” and “Save”. No matter in the list or single article page, it displays great detail of the articles: the author, publish date, estimated reading time and topic label, fully informing readers the related information. The title, content, and actions also match very well. “Home” and “Series” are the two type of stories available on the platform, users can swipe the screen to switch between the two. For the “Save” features, the design of feedbacks is very delicate. It not only instantly changes the status of the icon, but also flash the text explanation of user’s actions, avoiding potential confusion. Besides regular blog post, Medium has a new type of story just for mobile users – Series. Series display stories by card, and the card can be added to over time and unfold. The usual conceptual model for reading blog post is scrolling vertically. But for “Series”, the conceptual model is swiping horizontally, and the author will decide how many words readers should read on one screen. A problem is there is no page number (signifier) on the screen for “Series” story. There is a progress bar on the top of the screen, but users can’t tell how many pages left. I will suggest adding a page number at the bottom the screen, so users are better informed and able to estimate the time for reading. 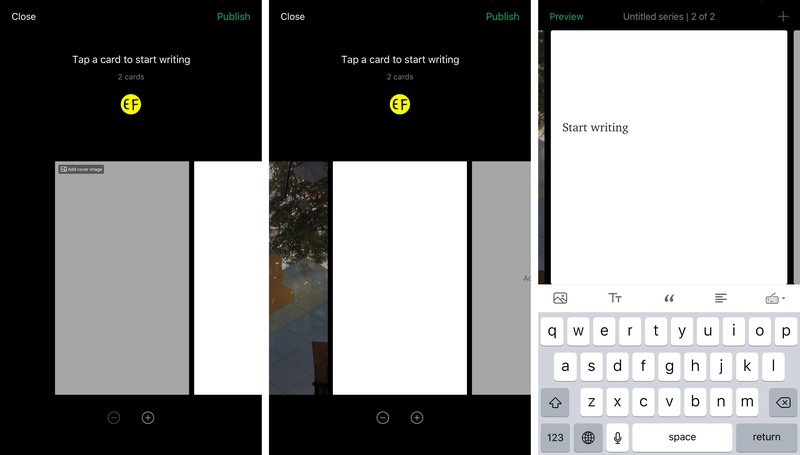 The design for “writing series” feature also successfully implies the conceptual model of how to navigate the interface and start writing – swipe and tap, which is cool and innovative. Don Norman introduces the concepts of “knowledge in the head” versus “knowledge in the world”. “Knowledge in the head” is efficient to use while requiring considerable amounts of learning. Inversely, “knowledge in the world” requires no learning and helps us store information we otherwise would forget, but it is difficult to use. Both of them are essential for human’s daily functioning, but they have a negative correlation. It means if you choose the advantage of one, then you will lose the advantage of the other. As information explodes, relying on “knowledge in the world” is becoming necessary. Good design as Medium can help us minimize its disadvantage. In the personalized reading list, Medium offers four buckets for users to store useful articles or information: Saved, Archived, Recommended, Highlighted. It makes these “knowledge in the world” easier to use. To make it even better, it will be helpful to add features allowing users tag or categorize the articles they save, or the system automatically helps users complete the categorization. It would improve the accessibility of this knowledge, and enable users to find the information they want quickly. To sum up, the design of Medium platform satisfies the design principles by Don Norman: clear signifiers, delicate feedbacks, and well-display conceptual model. With the considerations of human and environment factors, its IOS app has mobile-only features which is a great example of human center design.